Mozilla has gone through a lot of change since it started. Ways to contribute that used to work may not work as well now. I’d like to explore this by getting people’s stories about how they got involved. I was building sites in 1998 and started following Mozilla to get an early look at the next version of Netscape. When I learned about extensions, I played around with the code and asked some questions on forums. I worked at a small Internet agency that encouraged staff to try new technologies, so with a few other employees we started building some Mozilla applications, including Aphrodite, an early stand alone browser. One day one of the owners joked that he would fly us out to California if I set up a Mozilla event. So I did. There were just two sites then and it was easy to see if anyone was already working on events. No one was, so I sent some emails and started coordinating with people who wrote back. 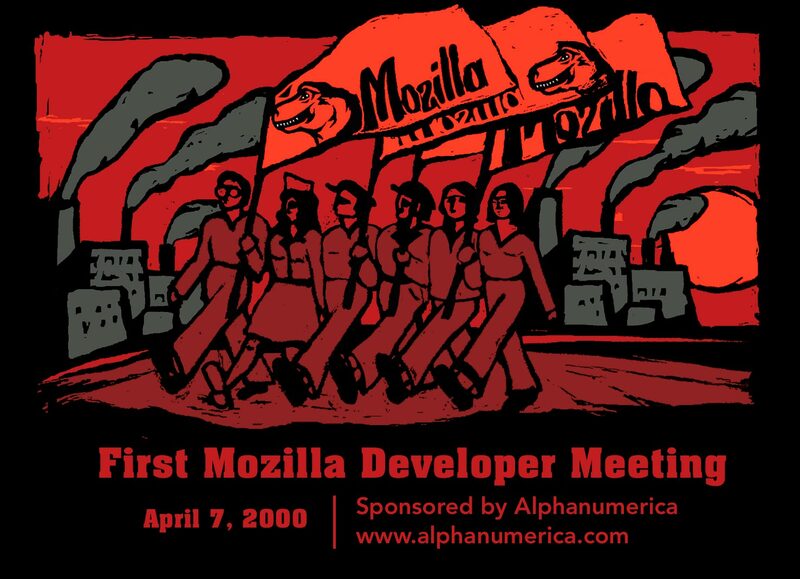 In April 2000, we had the First Mozilla Developer Meeting and gave out shirts. Ever since then I’ve stayed active in the community because I love the idea of being able to pitch in and make Mozilla better. I’ve also enjoyed helping other people get involved. One thing that could help new contributors is to audit the ways people have gotten involved in the past and see if they’re still effective. We can then build on what’s working and experiment with new ideas to replace what isn’t. For instance, if there had been over 200 sites then instead of two I would have had a much harder time learning enough about Mozilla to see where to help out. To address that it’s critical to have an easy way to learn about all contribution opportunities. We can learn more from other people’s stories. There is a great interview with David Tenser about how he started the Firefox support site because there was a need. Mozilla has gotten big enough where there are fewer unowned areas—does that change contributors’ motivations when it looks like things are already covered? I’d love to hear other people’s stories about how they got involved. Please share your stories and post about them to the Mozillians forum so we can discuss what this means with other Mozillians. David, this is a great point and I really hope that your effort yields changes to the entry points for people helping out with Mozilla. I’d be thrilled and honoured to help you think this through and design a better way to channel the interest and energy of people looking to get involved. Mike, glad to hear this sounds useful and it would be great to get your help. A good place to start would be to get your contribution story. If you have some time coming up, I’d also be happy to talk through things with you to see if we come up with other ideas to work on together. Good idea about adding this to profiles. Letting people add a link to a blog post or video of their stories and plus adding the year they joined the community would make for a lot of interesting content that we could do something cool with.